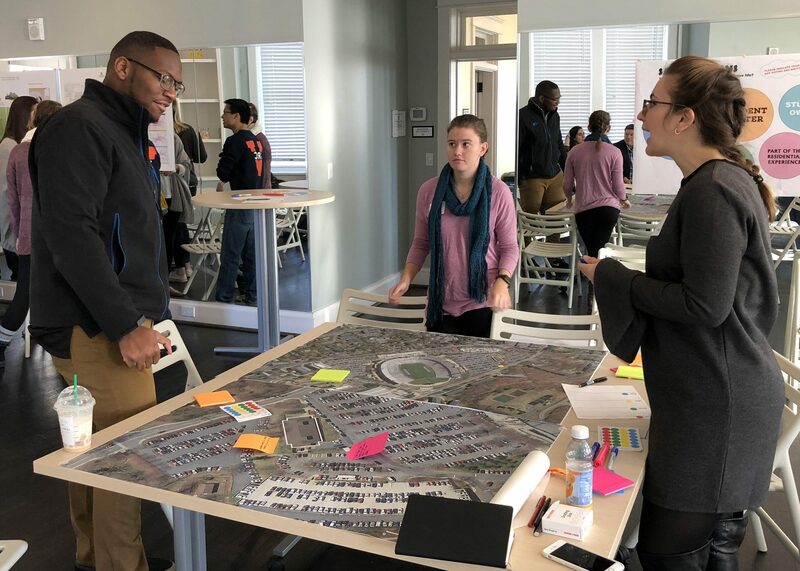 During the feasibility study for the University of Virginia’s Student Activities Building (SAB), we created a unique research and design process to understand student needs relative to space for student-led cultural and social activities, and to amplify the students’ ability to guide the recommended solutions. The process was aimed to align with and respect UVA’s strong ethic of student governance by providing welcoming access to students and enabling their participation at multiple scales. The planning team—students, University staff, and architects—worked together to establish goals, build a vision, and cultivate support for facility renovations. 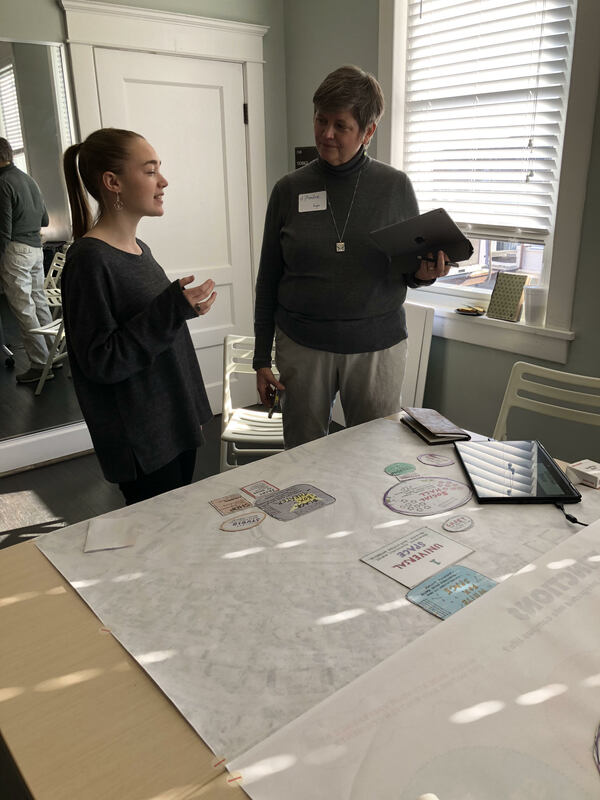 We created a unique research and design process to understand student input and needs, relate them to the University’s overall planning goals, and bring them to fruition in collaborative design workshops where students and administrators guide the design. Much of this work was conducted in a series of day-long workshops with students and administrators, supplemented by student-led surveys and canvassing that clarified student needs and aspirations for extra-curricular performance space. As the process unfolded, it became apparent that we required other tools to solicit feedback from a broader sampling of students beyond the self-selecting population of committed workshop attendees. Our research team developed an on-line journey mapping and questionnaire tool that was heavily publicized on social media and ultimately yielded over 200 detailed student responses. 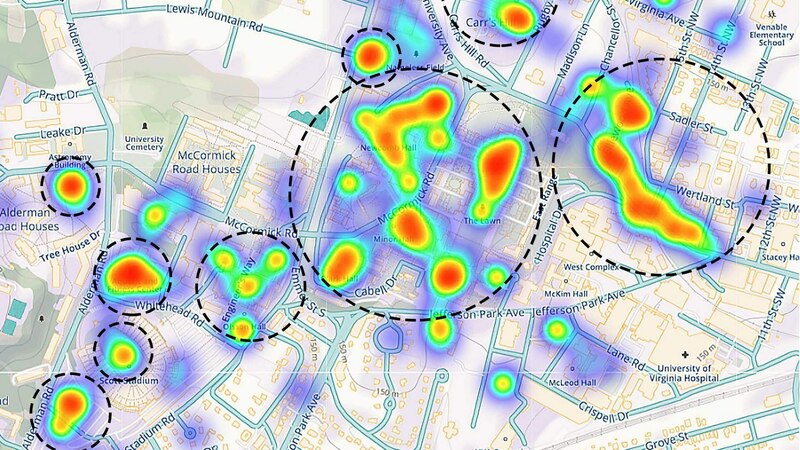 The information gleaned from these surveys clarified priorities and provided a wealth of useful information about how students navigate, use, and understand the UVA Grounds. The planning process culminated in a sequence of three building design workshops that allowed students and administrators to weigh priorities, investigate desired adjacencies, and develop concepts that capture the spirit of a facility that will accommodate a large and growing culture of student-initiated performances and rehearsals, and will bring a diverse group of performers and cultural groups together under one roof.